What do you do with your coffee waste? You may add the grounds to your compost bin, or put them directly onto your roses and other plants as a fertilizer. 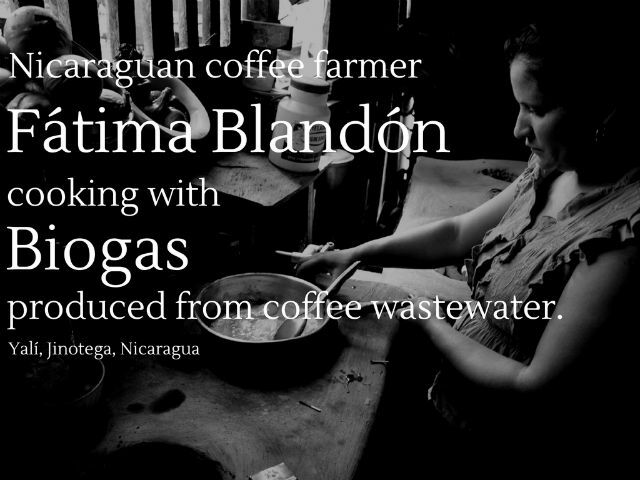 If you’re in the business of coffee processing, though, you’re dealing with much more waste… particularly wastewater. According to Dutch sustainable agriculture non-profit UTZ Certified, every cup of coffee we drink requires 140 litres (nearly 40 gallons) of water to process. After that water’s used, it’s full of organic material. If it simply gets discharged into other water sources, as it often does in the developing world, it’s not only polluting water and putting wildlife and people at risk, but it’s also creating methane emissions. Carbon emissions were decreased by 8-9 tons per community because of the shift away from firewood. Not bad for initial efforts to deal with these environmental issues. The experiment was als0 able to cut the amount of water needed for processing in half. Needless to say, UTZ Certified feels pretty good about these findings, and is now introducing the technology into Peru and Brazil. With more funding, the organization would love to take the wastewater treatment system to coffee producing and processing regions in Africa and Asia. No doubt, developing world coffee producers need the first shot at this technology: their options for fresh water are often limited. But I’d love to consider the potential for coffee processing here in the developed world, too… no doubt there’s wastewater coming from our facilities that could be put to productive use. Thoughts? Ideas? Share them with us in the comments.